The Grecian, Earned picks up where The Greek Interpreter left off. 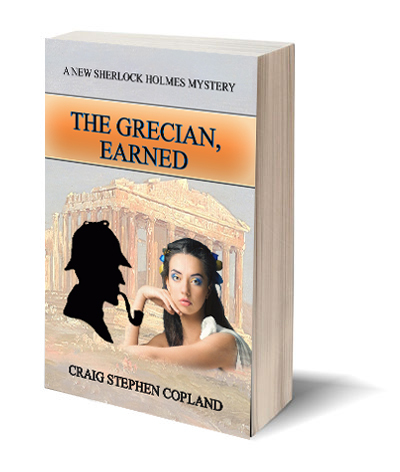 The villains of that story were murdered in Budapest, and so Holmes and Watson set off in search of ‘the Grecian girl’ to solve the mystery. What they discover is a massive plot involving the re-birth of the Olympic games in 1896 and a colorful cast of characters at home and on the Continent. Download it now and enjoy.